March 30 or 31 Fourth Annual "Marinica" (Marin Co SF Area Pre-Eroica ride). Who's in? Eroica California is just 2.5 weeks off, so It's time to start thinking about the weekend before Eroica (March 30 and 31), which is when we do Marinica, a fabulously beautiful ride through west Marin, just a short jaunt north of San Francisco, even including a very small amount of dirt/gravel riding. Photos from last years ride are here April 7 or 8 Third Annual "Marinica" (Marin Co SF Area Pre-Eroica ride). Who's in? , but better photos from three years ago can be seen at April 2 SF area Marin County C&V Pre-Eroica ride. Be there or be square!. Barring truly miserable weather, we will be out there doing pretty much the same thing as the previous rides. If you are planning to come, please post in this thread or PM me and indicate which day you would prefer (saturday or sunday). I will go with what the majority wants unless the weather intervenes. If no strong opinions, the default is Sunday March 31. Note that this is unsponsored, unsupported, and unorganized...basically a flash party with old bikes. You are on your own, so treat this as a solo ride and be prepared for whatever mishaps may befall you. Note that food and water stops are few and far between. The plan is to start at the Marinwood Community Center, then ride up Lucas Valley Road, through Nicasio and northward, with return via several route options of varying difficulty. We will meet at the start location at 9:30 (where we can gather, chat and ogle bikes) and for those who want to do more than ogle, ride out from there at about 10:00. The start location will be in the vicinity of the Marinwood Community Center parking lot on Miller Creek Road just north of Lucas Valley Road here: https://goo.gl/maps/UTPzkmgTSTF2 . There should be plenty of street parking for cars. Do NOT park in the Community Center lot. We are just using the center as a landmark/gathering place. 2. Those wanting fewer miles and less climbing could instead turn left, go through Pt Reyes Station, south to Olema and then come back on the Fairfax-Olema Road, turning north at San Geronimo golf course to get back to Lucas Valley. The second choice is about 43 miles and probably about 3000 ft of climbing Here's a map of this ride: https://ridewithgps.com/routes/1132722. 3. 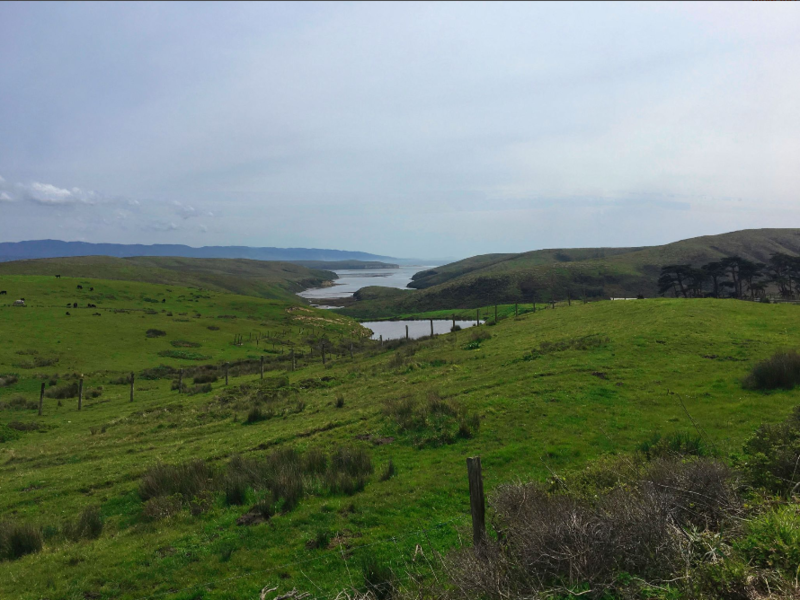 For even fewer miles, take route 2 but turn left at Platform Bridge Road before getting to Pt Reyes Station, which will cut off about 7 miles and one big climb, making the total something like 36 miles and 2000 ft of climbing. Here's the route for this ride: https://ridewithgps.com/routes/326558. A slight alternative to this is to continue to Pt Reyes Station for a lunch stop then backtrack to Platform Bridge Road, thus avoiding the big Olema grade. IMPORTANT INFORMATION FOR REDUCED TRAFFIC. I strongly recommend that you get off Sir Francis Drake Blvd and instead ride the Cross Marin Trail, which parallels Sir Francis Drake and involves some mild dirt and gravel, perfect Eroica training. However, it's easy to miss the start of it, so pay attention. It occurs at the intersection of Sir Francis Drake Blvd and Platform Bridge Road (24.4 mile turn on the route 2 map and the 20.5 mile turn on the route 3 map). From the intersection go north on Platform Bridge Road about 50 feet and turn left on the decrepit road across the bridge. Right after the bridge turn left and go through the tunnel under Sir Francis Drake Blvd. Voila, you're on the trail. About 2/3 the way along the trail you will hit the parking lots of the main Samuel P. Taylor park entrance. Stay to the right, away from the lots, go around the closed gates and continue on the Cross Marin Trail which turns to dirt at this point. It will cross a bridge and continue on the north side of Sir Francis Drake to the trail end, where you cross the creek on another bridge and rejoin Sir Francis Drake. There is a little store in Nicasio but no faucets for water. The Cheese Factory on route 1 has food, faucets and toilets. Marshall, Point Reyes Station and Olema have various restaurants and sandwich places. In Point Reyes Station the Cowgirl Creamery is great, as is Bovine Bakery and the Whale of a Deli at the south end of the main street. There are public restrooms 1 block east of the main drag. Last year most of us ate lunch on the lawn behind Cowgirl Creamery. There's also a very cool bike shop at the south end of town, complete with a large collection of vintage mountain bikes. There's a small store somewhere around Lagunitas as I recall. Other than that, there are not many services along the way. Be prepared! Last edited by davester; 03-19-19 at 09:32 PM. One of these years I'd like to do it, but continue to ride down the coast to get to Eroica. At that point the ride itself would be a piece of cake! Sounds like a great idea! We have a half dozen Davis Bike Club riders that have been prepping for Cambria and I’ll share this info with them. No pref on the day but will know more by week’s end. OK, Let us know. Anybody else? I live close and will try to clear my calendar. Sounds like a lot of fun! I had a fine time on this ride last year and would like to do it again. I would much prefer Sunday since Saturday is my Tandem Day with my wife. It looks like the weather is going to be good this coming weekend so plan on doing Marinica on Sunday March 31st. There are currently about 7 or 8 invitees coming, including those both on and not on this thread. In preparation, I cleaned my bike to within an inch of its life on Saturday, then we rode west Marin yesterday including the dirt part of the Marinica route. 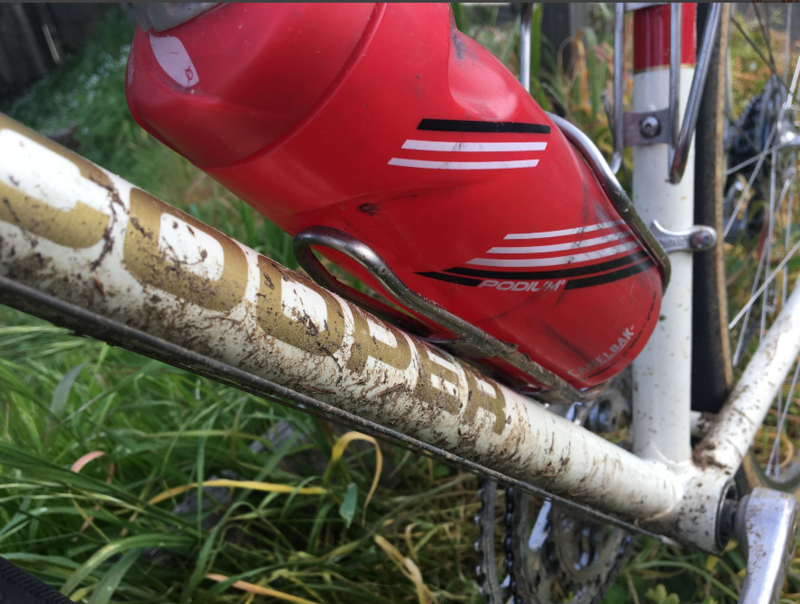 Suffice it to say that the scenery was sublime but the bike is now ultra-filthy again, as illustrated below. On Marinica you will be rewarded with dirt (although there is a clean option for those who want to keep their steeds pristine). Any more takers? This will definitely be this Sunday, March 31, meeting at the start at 9:30 am. The weather is shaping up to be beautiful. (in contrast to Eroica, which the long range weather forecast currently indicates may be rainy). Canvassed the Davis Eroica riders and they scheduled another ride in a different location. Have a great ride and enjoy the good weather! No can do this time. Have a great ride, all. and be glad you don't have to wait for me at the top of any and all climbs. See you in Cambria. I'd do it with you for sure! OK everybody, this ride is tomorrow. Be at the start at 9:30. Be seeing you! Ugh! Last minute complications preventing me from coming. Have fun! !